(Primal Burst) Arc Divider: Revert the cast time nerf; Change the cast time to half second. Why: Compare this to holographic shock wave. will also launch you, crit 100% of the time, and has a 600 range. compared to arc divider's 450 range. Also holosmiths can enter photon forge with less restriction than berserk mode. Apples to oranges, but this skill really needs the nerf reverted as it's no longer considered 'op". (Primal Burst) Rupturing Smash: Change the AOE to a full circle instead of a quarter circle. Why: The unusual hit box makes this awkward to lead hits with its 3/4 second cast time. Giving it a full AOE circle will make this more usable. (Burst) Combustive Shot / Scorched Earth: Make it so when this doesn't hit an enemy, it doesn't proc adrenaline traits. (Bow 1) Dual Shot: Increase projectile speed. Why: You shouldn't be given adrenaline use benefits if the bow burst doesn't hit a target. Keeps it in line with other burst abilities. (Rifle 1) Fierce Shot: Divide the damage across 3 shots, change it to a 3 round burst. Gain bonus adrenaline if all 3 rounds hit your target. remove bonus adrenaline when striking vulnerable targets. (Rifle 2) Aimed shot: Make this a damage a small aoe around your target, reduce vulnerability stacks. (Rifle 4) Brutal Shot: Reduce cast time to a quarter second, give this skill animation priority instead of queuing behind current active skills. Why: Rifle's kill shot is supposed to be a hard hitting high risk skill. The power creep over this game made it so other attacks are capable of dealing the same damage with less risk. Rifle also suffers from poor adrenaline gain because it's mostly a single target hitting weapon (with exception of rifle 3 piercing multiple targets). Making rifle 1 a multi hit attack and rifle 2 an attack to strike multiple enemies will give rifle more options on adrenaline gain. Rifle 4's dodge is just too slow to use reactively. (Primal Burst) Decapitate: Reduce cast time to half a second, reduce aftercast. Remove the might gain, and fire the shockwave effect even if the axe doesn't hit a target. Why: Eviscerate is a better burst attack, the shock wave is a gimmick and awkward to hit other targets out of position. Even skull grinder is better than this. (Primal Burst) Skull Grinder: Undo the splits and normalize it to the PVE specifications. (Mace 3) Pommel Bash: Give this 2 charges. Increase cooldown. Why: General usability update for mace. The small lunge for skull crack will reduce misfires, animation priority for counterblow allows it to be used reactively, ground targeting for tremor allows players to lead shots because this projectile travels too slow to be reliable. Mace 3 Pommel bash changed to match how effective disrupting stab (dagger 3) is. (Burst) Flurry: Allow movement while casting. Remove the immobilize, reduce number of hits to 3 / reduce cast time, increase damage / condition per hit to compensate. Why: Self rooting yourself to root a target is not a good tradeoff because your target can cleanse the condition and you'd be a sitting duck out of a burst attack. Sword 5 change for same reason as mace 2. Why: Has functional and distinctive utility. To the Limit: Add a voice line. remove adrenaline gain, halve the healing/endurance and give 2 charges. Why: giving to the limit 2 charges will be benefitial for shout builds. Frenzy: Rework this. Make it so burst attacks don't use up adrenaline and burst recharge is halved while this stance is active. Pulse alacrity and quickness. Does not break stuns or grant might. 45s cd, 6s stance duration. Fear Me: Give this 2 charges, reduce + normalize fear duration. Outrage: Change it so this uses the charge/ammunition mechanic, increase cooldown. Wild Blow: Increase the launch to 900, increase damage by a lot. Sundering Leap: Change it from vulnerability and cripple to torment and burning. Reduce cast time to half a second. Sight beyond Sight (Spellbreaker): Change it so you gain an effect that allows you to see stealthed targets instead of revealing them for a short period of time, increase damage to stealthed enemies. Enemies you strike during this period are applied disenchantment for a second. Imminent Threat (Spellbreaker): Give it 2 charges, reduce taunt duration. Apply Disenchantment for 5 seconds. Battle Standard: Remove the pulsing might/fury/swiftness. Pulse healing in the area, have the compassionate banner trait increase the heal amount. Why: The banner and signet updates neglected elite skills. Battle standard and signet of rage have been made obsolete over time due to power creep. Merciless Hammer: Increase damage bonus to 50% and cause a aoe blast finisher when you inflict a control effect with a hammer with a short cooldown, have the bonus daamge affect any attacks that apply and control effect rather than have the effect apply on enemies that are controlled. Why: Brave stride is useless once you enter battle, Merciless hammer weak compared to MMR and Berserker's power, window of opportunity too limited for the benefit. Opportunist: Rework this. Gain increased critical hit chance for a short time after landing a burst skill. Unsuspecting Foe: Rework this. Attacks that inflict disable effects have an increased critical hit chance and deal increased critical damage. Dual Wielding: Rework this. Wielding a weapon in your offhand that's the same as your mainhand halves burst cooldown and adrenaline used on burst. Why: No one uses opportunist, window of opportunity too small for unsuspecting foe, dual wielding conflicts with quickness. Sundering Mace: Rework this. Your mace attacks are uninterruptable. Deal bonus damage if your target has stability. Reduce incoming damage from foes 600 units away from you while wielding a mace. Reduce cooldown on mace skills. Why: This trait is in a very poor position (vs defy pain and Armored attack). Too specialized, little benefit. This needs to provide more benefit to a mace user than a mace user with defy pain selected. Shrug it Off: Increase condition removal count or update tooltip. Why: No one uses leg specialist, shrug it off has either an incorrect tooltip or it's using an outdated shake it off. Crack Shot: Rework this. GIves rifle 2 Aimed shot 3 charges, reduce cooldown on rifle skills. Vengeful Return. Rework this. Deal more damage when your health is low, even more damage while in vengeance. Gain 100% chance to rally when you sucessfully kill while in vengeance. Why: Reworked rifle to gain adrenaline more easily without need for trait, vengeful return too specialized. General: Make it so after activating berserk mode, primal bursts are no longer limited by both adrenaline and cooldown, instead, limit it with only a cooldown. Keep berserk mode's cooldown and 3 bar adrenaline cost. Make smash brawler baseline. Smash Brawler: Make current trait baseline, rework this. Critical hit chance and critical damage is increased against burning enemies. Why: If primal bursts are going to be treated as level 1 bursts, smash brawler need to be made baseline because of warrior doesn't gain much after transforming besides hindering their own survivability with the adrenal health nerf. Last Blaze: in addition to its current effects, Primal burst attacks inflict burning. Can only occur once per interval per target for multi hit burst skills. Why: Berserker being a condi oriented spec should have their primal bursts inflict more condi as a trait option. No such option exists. Savage Instinct: In addition to its current effects, primal bursts are now able to break stun. Why: Current trait places too many restrictions to make this beneficial (effectively a stun break on a 30 second cooldown and it requires adrenaline to use). Need 3 bars of adrenaline to enter berserk mode, and limited by a cooldown with a subpar benefit. Making primal bursts capable of breaking stun will breathe new life into this trait. Dead or Alive: Rework this. You are now able to leave berserk mode to put it on cooldown early by pressing F1 while in berserk. Evade and gain super speed for 1 second when entering berserk mode, gain barrier and vigor when leaving berserk mode. Why: Current dead or alive trait is ineffective due to the requirements of being in berserk mode. It's also a passive boring trait. Make this an active trait. Why: Always angry is a better trait and has a lower tier. can't even do anything with 3 seconds of quickness. Eternal Champion: Rework this. You are no longer able to gain stability if you take this trait, but your primal bursts also become uninterruptible. Any incoming stability you gain is immediately converted to retaliation and resistance. Gain resistance + convert blind/weakness/cripple into fury/might/swiftness when you break a stun. 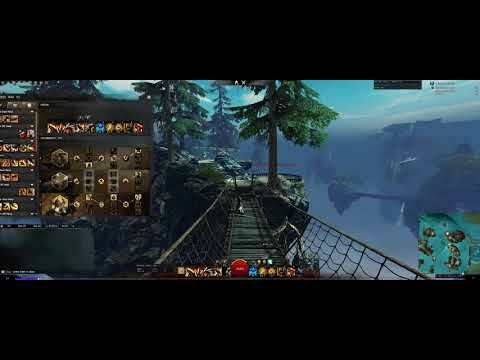 Why: This is to make a frontline berserker more viable in WvW while embracing the specialization's theme around breaking stun. Sun and Moon Style: Increase heal amount for offhand, change it so mainhand auto attack strips a boon. Full Counter: Make this skill have animation priority over other skills instead of queuing behind so this can be used reactively instead of predictively. Scale attacks based on the attack it countered. Why: Unused trait, and to update usability of full counter so it can be used more reactively. Full counter damage too weak, a better idea would have been to scale it based on the attack it countered to make it less effective against aoe cleave and more effective against strong attacks. but the change to longbow burst would make the sole advantage of longbow (pretty much a guaranteed burst hit) useless (longbow burst is a super slow projectile). this would only be ok if you would still be granted those adrenal health stacks/ stab (from your new strength line) retroactively (after the burst skill already hit the ground) when enemies walk back into your f1 firefields. i also think that 100b on gs should be reworked or at the very least altered as this skill is simply outdated. it's the same with offhand sword. even if the #4 skill would have 2 charges this skill is far to clunky and useless to be taken seriously. rev offhand sword was reworked and lost its block because rev already had an offhand dedicated to defense. warrior also has shield for that. and a condi offhand (torch) and an offhand with reflect (dagger) and a pure power offhand (axe) and one for condi cleanse and one for cc. what we do not have is an offhand that grants mobility. but sword offhand could be anything really but the current skills are simply awkward to use and #4 is downright useless. and axe with reflect (even only projectile destruction) on #5 would be ridiculously op. ranger axe has it, but you can't move while casting it, it only hits 3 targets and has a longer cd even though it's radius is quite a bit larger than warriors axe 5.
i specifically like your proposed change to brave stride. with the ability to gain stability from the strength traitline and mmr you would probably be able to switch strength for defense which would drastically increase build diversity. and ofc a much needed buff for berserker. Dagger in PvE most definitely needs a major damage buff. Why though? There are already weapons out there for warrior that already does good damage. If you give dagger dps, you're taking away the only distinguishing factor of axe/greatsword (damage). Daggers (and spellbreakers in general) are effective against boons. If pve mobs had high boon uptime, you would see better use for spellbreaker (especially WoD) in pve. The problem isn't the specialization/weapon. I would argue that pve mobs need to deal more condition damage and have higher boon uptime to match what players are capable of. That way you would see a wider variety of weapons/traits/skills being used in pve instead of a faceroll dps rotation. Why not?! I played axe/Gs for years. Why should they be the only weapons viable for PvE power builds?! I disagree with To The Limit adrenaline removal. That skill only needs aftercast removed + proper voice line. They seriously buffed rifle in the wrong way again.Damage has never been really the issue,its the fact that kneeldown burst does not fit in this 2018 meta.Remove the kneeldown effect as you stated,dont slow down movement speed but keep the charge up animation and maybe make it clear to see it is charging up. Thank you for typing this up OP, these changes are very sensible and fair, and I agree with almost all of them. Agree with most minus longbow. Too slow to not let it's bursts not count. It's also more about area control so it makes sense that it counts when the fire field procs. I also think that dual shot needs baseline 2x 1 sec burning. This needs to be default for Condi builds, and we need longbow to be a Condi weapon since we only have one baseline. Instead, the trait should add more burning % duration, maybe 10% and the cd reduction. Either that or move burning arrows to tier 1 where it is competing with other selfish traits, not group related traits. OR even better yet, move it to ARMS. Ps, I think "Shrug it off" should become a minor trait in tactics. hammer trait buff is nice but probably too strong, perma quickness while zerging with that traitline? Good point. Changed it to fury. Quickness doesn't make sense on hammer, its combo is already executable without it, and having quickness doesn't add anything besides autoattack hits. Also, making mace attacks "uninterruptable" doesn't change much except for Skull Crack and the auto chain. The rest are relatively fast enough to basically never get interrupted unless you're fighting a sword mesmer, in which case everything gets interrupted unless you have stability anyways. It'd be better to merge the Mace and Hammer traits. Instead of confusion on interrupt, or CC duration, make it so Mace and Hammer skills apply a debuff called... "Staggered" which will lockout mobility skills so you can combo without the opponent just rolling or blinking out. Staggered: Disables all mobility skills, including ones with a stun break attached. Duration is based on the base skill CC duration, between 1 and 3 seconds usually (Level 3 Skullcrack applies 3). Force opponents to either dodge the really slow Skullcrack/Earthshaker setup, or force them to slot non-universally useful stun breaks, and prevent the usage of Lightning Flash and Jaunt even while CC'd. Makes Mace/Sh/GS actually good instead of braindead Auto-Endure Pain all the time. If anet does introduce this sort of debuff, you can almost expect it to carry over to other professions. You sure you want that? Mending: Make this a physical ability to benefit from the 10% damage increase trait and reduced cooldown. To the Limit: Add a voice line. remove adrenaline gain, halve the healing and give 2 charges. Adrenaline gain of "To the limit" will be nice on Mending too. "To the limit" should have reduced energy gain with two charges. The burst stuff sounds a bit to strong, alacrity can be helpful. Personally i want super speed on frenzy! Merciless Hammer: Rework this. Critical hits with the hammer are now blast finishers (1s cd). Blast finishers with the hammer deal AOE damage. Gain Fury when you disable a foe with a hammer. Reduce cooldown on hammer skills. Never understood the merge of the hammer trait with the confusion trait. A merge with Unsuspecting foe fits much better. Not sure about the blast finisher thing. This would be too strong, because its easy to crit, and needs an icd. But with an too high icd it would be useless, because of the blast finisher of F1. General: Return primal bursts as lv 3 bursts for adrenaline use purposes. Unpopular opinion: Don't do that! Berserkers Power and Adrenal Health lasts for 15 seconds, the same duration as berserker mode. It would be more helpful just count the activation of berserker mode as an T3 burst. Cleansing Ire is not necessary for Berserker. Better add some Resistance to Primal Bursts or something like that. Activation of Berserker mode should be feel more like high risk, high reward. When you play Berserker these days you have that feeling a bit. Well, the reward is missing. But returning the T3 on primal bursts is just an lazy fix. It does not feel rewarding because Berserker is made for burst spam. Add super speed and faster weapon swap to berserker mode -> Berserker will probably work without Discipline. Thanks for your feedback. the balance from what makes something op or weak can be determined by finer details. I left out damage amounts from the blast finisher on hammer, anet can figure that out. Good point on to the limit, halved endurance as well. For berserker, my biggest gripe of it is that i need to build 3 bars of adrenaline only for it to get cut down to 1 for burst based trait activation. That, and they're not much better from the regular bursts (a lot of the bonus damage actually comes from damage multiplyers in the berserker specialization). But I do agree that just making it lv 3 again is a lazy fix..
changed it to 2 options, either entering berserk deal pboae damage to trigger burst traits, or remove the adrenaline requirement from activating berserker mode altogether. I do think.they could update sword bust flurry to be unrooted. All they have to do is take the berzerker animation for flaming flurry and carry it over. I would be much happier with sword of they made that one improvement. Why: Mending is uncategorized, giving to the limit 2 charges will be benefitial for shout builds. No, absolutely not. Core Warrior is already the single easiest build in the game to learn and be incredibly effective with with little tradeoff, and this would break it. I am sorry, but I personnaly don't like most of these ideas. I am a big fan of the "Leg Specialist" + "Opportunist" combo as it currently is, and I don't see any reason to make that go away. Bow 4 is something you keep for when you need to inflict blind to make and incoming attack miss, not for actual damage dealing. I also like the current "Frenzy" (and I need that stun break!). I would also rather prefer that Alacrity stays unique to the Chronomancer. Ground targetting for Mace 5 seems more of an anoyance than anything. Don't nerf the fear duration on "Fear me", that it is its best point that any Necromancer envy. I am also against your changes on the two Elites. Honestly, the only two things I would personaly wish for is that they undo the change on Shield 4 (the longer casting time that ruined the animation), and make Revenge actually work in places where it will never trigger (story instances and the like). I am sorry, but I personnaly don't like most of these ideas. I am a big fan of the "Leg Specialist" + "Opportunist" combo as it currently is, and I don't see any reason to make that go away. Bow 4 is something you keep for when you need to inflict blind to make and incoming attack miss, not for actual damage dealing. Ok but is this necessary on a ranged weapon? The benefit of a ranged weapon is the ability to position yourself better than melee to avoid damage. I also like the current "Frenzy" (and I need that stun break!). I would also rather prefer that Alacrity stays unique to the Chronomancer. You have other options available if you need a stun break on a much shorter cooldown. I suggested removing the stun break using a 'give and take' appraoch to balance to avoid blatant power creep. Ground targetting for Mace 5 seems more of an anoyance than anything. Suggested this because how slow the projectile travels, so I can lead my shots on where my target's moving to. The other option is to increase projectile speed, which I didn't suggest because it's power creep. Don't nerf the fear duration on "Fear me", that it is its best point that any Necromancer envy. I would like 2 charges for more uses, but can't have it all now can we? I am also against your changes on the two Elites. Honestly, the only two things I would personaly wish for is that they undo the change on Shield 4 (the longer casting time that ruined the animation), and make Revenge actually work in places where it will never trigger (story instances and the like). The shield 4 cast time nerf was welcome in my book and their explanation for the nerf was understandable at the time when the balance team were reviewing risk/reward benefit of CC skills. The may 16 patch adjusted CC skills for all professions, not just warrior. My opinion though. I think leg special is should be rolled into opportunist to make opportunist a more competitive choice. This would also give room for a new trait in tactics. I'd like to see Shrug it off moved there if it isn't made into a minor trait. Well your change wouldn't affect WvW zerg play int he slightest, and I'm not referencing any PvE here, just competitive. Adding charges to a heal, even at halved power, makes an already overstacked dueling build more overstacked. It doesn't take a lot of thought or skill to perform well as Core Warrior to begin with in duels, and that change would further auto-play it. It takes a big burst to take a Warrior down to auto-EP already, which often can be negated by active-EP by an aware player. Coupled with Adrenal Health, more frequent smaller heals would postpone fights against warrior almost indefinitely, regardless of how well you're playing against them. Thought I'd derail current thread progression to give my thoughts on this too! I mean, some of these are great. Some of these are bad bad bad. I'm a warrior main since game release. I come and go. Ask Burr though if you doubt me. Great to see that someone knows this weapon is fine. Really needs to stay that way. It IS the most powerful warrior weapon. (Hammer 5) Backbreaker: Make this cleave 3 nearby targets. That's totally fine. Swapping F1 and Hammer 5 and upping the CC time to 5 sec is fine too. I swing the other way on this. I say ANY time adrenaline is used that the effects of using it go off. Quite honestly, lots of other classes get these sort of bonuses when missing. Biggest I can think of now is mesmer getting a heal on F# when traited even with no clones out and hitting no enemies. Fine. I'd prefer it get the rifle rework treatment and get 1 less projectile and burning put back on for like 1-2 sec. (Bow 4) Smoldering Arrow: Increase damage and/or add burning. Give 2 charges. Absolutely love it. Would give a ton of utility back that other classes have outstripped over the years. (Burst) Kill Shot: Allow movement at reduced speed (-25%) while casting. or just allow movement. I'd like to see it just pushed to instant. These days seeing 5-9k damage pop in out of no where is recoverable. Otherwise, Soulbeasts. . . I need you guys to get nerfed hard. Really like this. It'd make it feel heavier hitting. Call it something like "Explosive Shot", but yeah. Like this. A little splash of aoe never hurt. (Axe 5) Whirling Axe: Grant projectile destruction effect while casting. Thieves can get projectile reflect when stealing it. Can we just get that? But agree. And fix the movement speed "Increase" on it. Disagree. Make it back to 1/4 sec cast time like it was. That was lovely. It'd make it nicer, but really I find it ok now. No. It already has very good hit rate if you learn to use it. Practice with it a little more. Actually, I quite like the immobilize on it. Everything else about flurry is terrible. (Sword 4) Impale / Rip: Remove rip. Increase projectile speed of impale, give this 2 charges. I've thought about this one. I came up with remove the throw. Still impale but remove the throw. After you impale, it lasts 12 seconds, every second applying 1 torment for 4 sec. That means it'd keep 4 torment stacks up on the target fairly well. (Sword 5) Riposte: Make this skill have animation priority over other skills instead of queuing behind so this can be used reactively instead of predictively. Dropping to 2 conditions removed and 10 sec cooldown would be nice too. Just remove the might and go with alacrity. That'd make it nicer. It's actually good right now. Try it out some. Sight beyond Sight (Spellbreaker): Change it so you gain an effect that allows you to see stealthed targets instead of revealing them for a short period of time, increase damage to stealthed enemies. That'd be an impossible amount of work to make. Imminent Threat (Spellbreaker): Give it 2 charges, reduce taunt duration. I'd prefer it to pulse stability. Right now it does its thing once and never again. This signet is still really good without changes. I like it now, but it needs a better reset. So maybe this? It's really nice with a sword right now. I'd say leave it be. Nah, but I do agree that it need a change. Either 100% crit chance or add 15% crit damage to it. Again, leave it as is. Takes some set up, but it can be really nice with good old mace burst. Pays off more to use without spellbreaker. Honestly, I love this. I'd use it. I'd use the hell out of it. Increase it to be close to actual ability or reduce cooldown. I'd like to see it reworked to deal increased damage and reduce cooldown straight up. No fancy effects, just harder hitting. Rework vengeance to no longer die after using. It places you in down. Even if you kill something. Then this will give you swiftness, regen, vigor for 5 sec when you use vengeance, and when vengeance would be removed before (via killing something), it gives a small (1k-ish) heal. General: Return primal bursts as lv 3 bursts for adrenaline use purposes. Option A: Make it so berserk mode doesn't require adrenaline and only have cooldowns as a limiting factor; option B: Make it so activating berserk mode deals pbaoe damage around you to trigger lv 3 burst traits. I think it was changed because of how spellbreaker uses bursts. This WASN'T a nerf, just a "well we standardized it to this and don't really have a way to return it. . ." Personally, just remove cooldowns for berserker then. Your adrenaline gain is your cooldown. Last Blaze: Rework this. Auto attacks while in berserk mode inflict burning. Savage Instinct: Rework this. Primal bursts deal more damage to burning foes. No. It's amazing for what it does right now. Would agree 0%. Just let it happen whenever in berserker mode, reduce healing, and remove the mode when it happens. Simple! Cooldown would enforce itself via how fast you can return to it. I only use offhand part, so yeah. Needs something. The 4th rifle skill should be changed, like very short/instant cast and/or roll in direction of movement key you are holding when casting finishes. Moving during casting Killshot would be really nice (compare it to revenant's Coalescence of Ruin skill, which deals similar damages), but I can live with being rooted and vulnerable while casting such nice shot. Sometimes I even find it OP, but then I just think about longbow soulbeasts and revenant's hammer. Except most warriors that duel don't run to the limit. it's a 1 second cast time and an interrupt liability, where healing signet is preferred in competitive 1v1 because it just heals over time while you're dealing damage as well and has resistance on activation. If I wanted small frequent heals, I would take mending which has a better heal / cooldown ratio anyway.. but no one cries that mending is 'overpowered' in 1v1s. Even with to the limit effectiveness halved and divided to two charges, the net effect is the same. The only benefit is that it benefits vigorous shouts more. lol core warrior is not even semi viable in pvp right now and has only little outplay possibilites in wvw due to better runes/sigils + endurance regen food. If you lose as thief (any variant) to a core warrior you have a serious l2p issue. Ranger in general needs higher cast times on longbow and yeah, Kill Shot should allow movement but should never be instant. You think gs is a good weapon but you want overpowered kitten like that? That would be a 3.5 sec reflect on 15(12 if traited) sec cd LOL. Even projectile destruction would be really pushing it and the dmg would have to be toned down a bit. Allow movement while you use flurry is also very important, because right now it is an outdated and useless burst skill. Dmg is also really lackluster but it is a bit tricky to solve because it deals power and condi dmg and giving both a high coefficient so that pure power or condi build can use it would maybe break the skill into op terrain. Rework this skill entirely. It is useless in every scenario imaginable. Also at least rework the counter attack of this skill or rework it completely so that we can get a decent sword offhand on day. I would not be surprised if warrior sword offhand would be the least used weapon in the entire game. The stunbreak on a skill you use for active pressure is really awkward. Frenzy has a fairly long cd because of the stunbreak and quickness+might. That is why the cd is deserved on paper. But you will almost never use both aspects of this skill meaning it is either 6 sec quickness or a stunbreak on 40 sec cd. When you are pressured/have to hide/kite etc. and you use this skill defensivly it's not good. When you use it to pressure somebody else it is also not good. I very rarely see anybody using this skill and have any success. Make it either purely offensive or defensive (i'd suggest offensive, because we already have 3 defensive stances) and buff/nerf it accordingly. The idea for this frenzy rework is pretty nice actually. Sry but Fear me is also one of the most useless skills in this game. 60 sec cd for a 1/2/3 sec fear? Every condi cleanse or stab or stunbreak will clear this skill (if your opponent does not randomly dodge through your shout). That skill should prob. also be reworked, because it would still be kinda bad even with half the cd. I don't think so. You can see stealthed (enemy) mushrooms in HoT maps too. As it stands right now the skill is yet again utterly useless. The cd is far to high for an effect with such little impact. Yet again this skill is useless in the whole game. Two charges with 15 sec cd per charge and it might see use. The signet is trash without changes. 60 sec cd for 5 might stacks and fury for a few sec? In a fight vs a scourge those boons get corrupted in 1-2 sec. If the boons would pulse or the cd would be significantly lower maybe. I also think the suggested rework of the skill might work with different numbers. Just imagine what would happen to the fullcounter spam in zerg fights if "fill adrenaline and refresh burst when you kill an enemy" would go through. Would be pretty broken xD. 20% cd reduction on dagger skills. Thats the idea of meditation guard. You can use them offensive or defensive. Works well and makes fun. Same for traited Survival skills of ranger, but less viable. Why do i have the overwhelming feeling that ranger and guardian gs is a lot more mobile to use than warrior gs. All other gs skills are fine, but atleast take a look at rooted skills on warrior. Fierce Blow: In addition to its previous effects, this skill now deals increased damage when striking a controlled foe. Control effects include stun, daze, knock back, pull, knock down, sink, float, launch, taunt, and fear. Backbreaker: In addition to its previous effects, this skill now knocks foes down for 1 additional second if the target is weakened. Fan of Fire: The burning duration of this skill has been increased from 3 seconds to 5 seconds per arrow. Smoldering Arrow: This skill now uses the ammunition system. Maximum ammunition is set at 3 with a recharge time of 20 seconds per charge. Time between uses has been set to 0.5 seconds. Mending: This is now classified as a physical skill. Impale: The projectile velocity has been increased by 66%. Rip: The physical damage of this skill has been increased by 15%. Riposte: The physical damage of this skill has been increased by 100%. The time to complete its attack animation and aftercast has been reduced by 0.25 seconds. Curious if the balance team saw this thread and impleented the smoldering arrow, mending, and impale changes.. Updated post to reflect recent changes and bump. You should add make greatsword 4 hit more reliably. I don't know what they've done but I can't seem to land it or bull's charge even on a stationary target that is in range. A reversion of the Headbutt cast time would be welcomed to. so what are the chances any of these will show up on the 02/26 patch? I just came back from a long break. Something is very very wrong with beserker, something is off about the way the adrenaline and berserker cooldowns are managed. Rifle should get back pierce on auto and sustain its adrenaline bonus on hit. To build up our adrenaline. Flurry doesnt grand adrenal health bonus on burst in WvW. So flurry is not considered a burst skill anymore, what game have i come back to. For this new meta I have been witnessing, Signet of Rage should have reduced cool down(40 seconds). Perhaps, let Beserker power proc before hitting while using burst skill like in old days, so our burst skills can get added benefit of the % dmg. I am a mesmer main, but i have a simpler bucket list for warrior (not bothering with berserker), with added benefit of improving the game instead of just powercreeping warrior massively. Remove energy sigils from the PvP. No point in counting dodges if the opponent may or may not have energy sigil(s). Remove the ability to use instant skills while CCd. This includes Mirage Cloak, Phase Retreat, Steal, Lightning Flash, Merciful Intervention, Berserker Stance, Signet of Stone, and hundreds of others on all professsions. Remove all pulsing stability as well as ultra low-cd stability (like stab on every shatter). (If the above is not enough) Limit number of stunbreaks on utility at any one time bar to 1 (first slot on the bar).